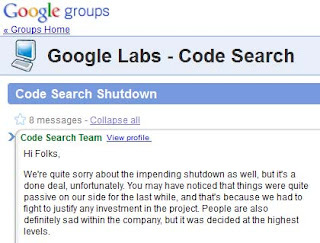 Google has published an honest apologetic message on one of its sites as they’re shutting down Code Search. 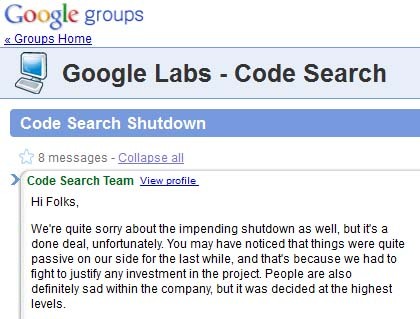 You can read the apologetic message below from the Google Code Search team. it in the official announcement. thread so people can easily find them.